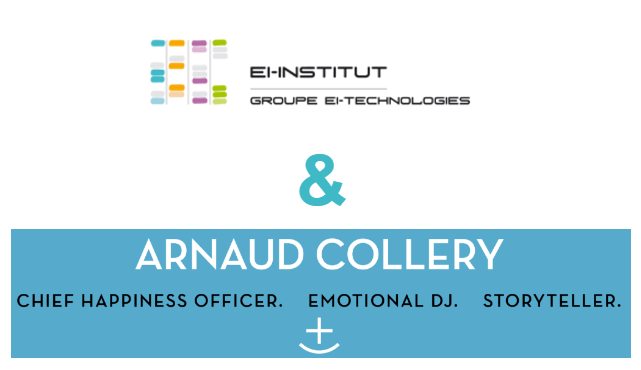 EI Technologies | Learn how to become a Chief Happiness Officer with EI-Institut & Arnaud Collery! Huge success for the 1st Chief Happiness Officer training launched by EI-Institut with one of the pioneers and world-renowned expert, Arnaud Collery, held last September and November. would like to organize your career or career path by taking into consideration your own self-fulfillment and the one of the others. If the “human” side particularly interests you in your work approach and the company’s organization then, learn how to become a Chief Happiness Officer with EI-Institut et Arnaud Collery, to understand your own skills, become an effective speaker and an actor of change. This training helps to understand the basics of the Chief Happiness Officer’s job in order to apprehend and implement tools aiming for the welfare at work or in the organization. Values and vision, management Vs employees. This advanced training provides a better understanding of the CHO’s job. At the end of this course, the trainee will have the necessary skills to implement tools aiming for the welfare in the company and evaluate the results.